Adventure Inn is conveniently located only 10 minutes away from the International Airport Juan Santamaria and San José Downtown, in a quiet residential area. There is an elegant atmosphere and a variety of services: bar-restaurant, laundry facilities. private parking, etc. and within walking distance, guests have easy access to bars, restaurants, golf course, casinos, shopping centers, and movie theaters. The rooms are very modern and tastefully decorated and include: two double beds, telephone, free in-room internet connection for your laptop, air conditioning, private bathroom with hot water, cable TV and security box. 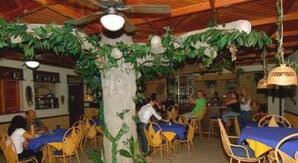 Adventure Inn offers you comfort, hospitality and outstanding personnel always ready to help you. Transfers from San Jose’s Juan Santamaría International Airport to hotels in the San Jose area are $30 each way for a minivan with a capacity of up to 9 passengers.